Got balls? These bars do. BOCCE balls. As well they should, as few games so seamlessly blend socializing, triumphing over your friends/enemies, and never having to put your beer down. 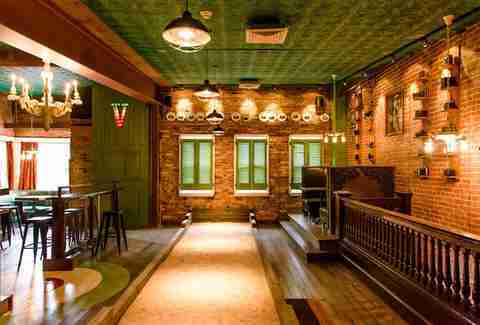 Here are seven hangouts inside and outside the Beltway, where you can get your bocce on. Bocce's even in the name! 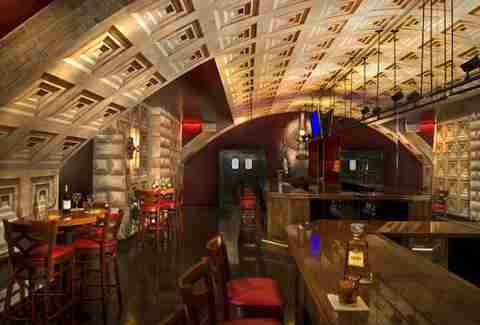 The H Street bar with Prosecco on draft is the place to be to throw balls around while sipping something EXTRA classy. 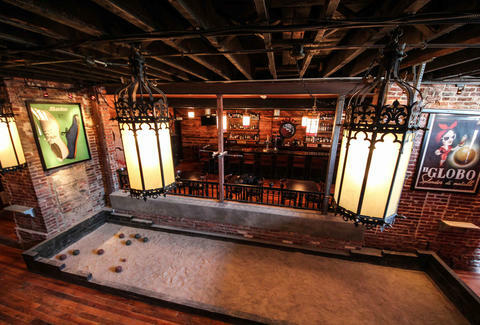 With a court upstairs just a stone's throw from the bar, it's easy to get another round when you've lost another bocce bout. And, if you can make it on a Monday, it's only $1 for sausage, meatball, or chicken masala sliders. Right off of U Street, this recently revamped wine bar (with a strong beer lineup as well), has a perfect patio for tossing some bocce balls.The weekend brunch here is also strong, whether you've worked up an appetite or you're waiting for the bocce to open up. 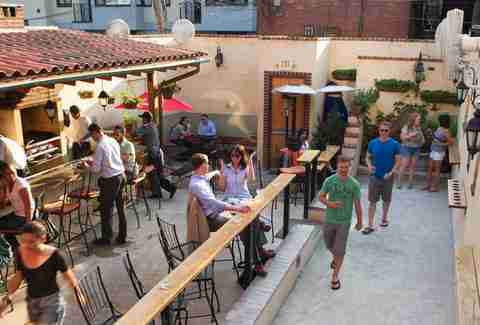 Climb the stairs at Pearl Dive Oyster Palace and discover a bocce bar overlooking 14th St. Or a quasi-bocce stadium. 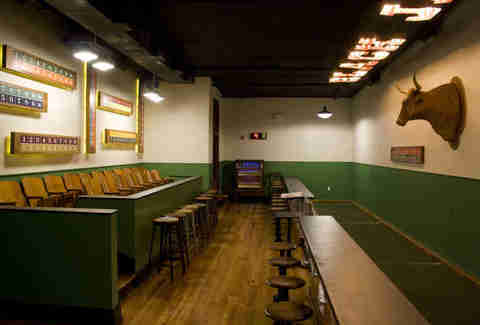 With 19 seats next to the bocce court, you can get a group together for a serious bocce throwdown. Hopefully Bobby Flay doesn't show up. Black Jack is kind enough to break down the bocce rules for you. Rule #1: Buy a round of drinks for everyone involved. Catering to more than the Georgetown crowd, this newly opened venue at The Shops of Georgetown Park has got both bocce and bowling under its roof. To throw those balls, it's $5 per person per hour. And on Tuesdays, bocce players get $5 burgers as well. At this Adams Morgan party spot, the bocce court comes out only for special requests on Sundays, Mondays, and Tuesdays. 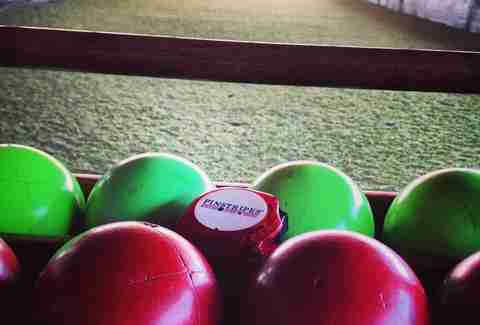 Play a few games of bocce, then change it up with some beer pong. Then after beer pong, go back to bocce. Weekend plans, solved! You gotta leave the Beltway to play bocce in the secret garden -- in the heart of historic Leesburg, Shoe's Cup and Cork has a decent beer list. But this is wine country after all, so the vino list is much longer. 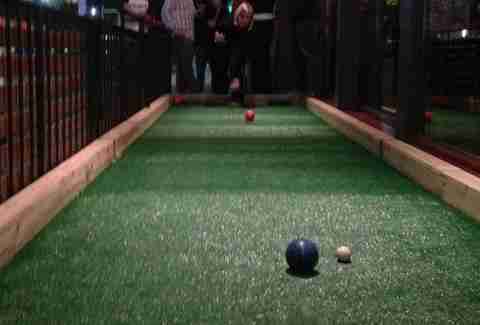 Try a glass of pinot noir and a rousing round of bocce. 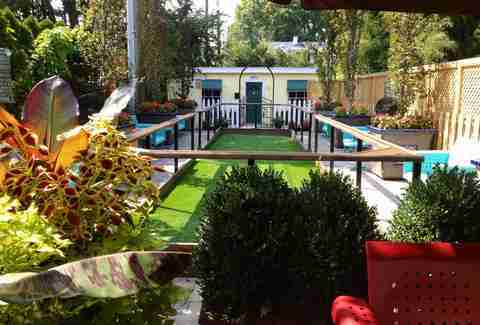 This Italian restaurant in Clarendon has a little-known secret: it has a bocce court out back. Just ask the bartender for some bocce balls and be on your merry way. Except, when you talk to the bartender, make sure to grab a few drinks for the players as well.